Wednesday 15th August saw the visit of our very good friends from Crab Hill, St Lucy in Barbados. North Stars arrived for a day of cricket and socialising and a huge success it was too. A good number of folks came along to support the day and say hello. A huge thank you to all who came, too many to mention individually by name but you all played a part in the success of the day. 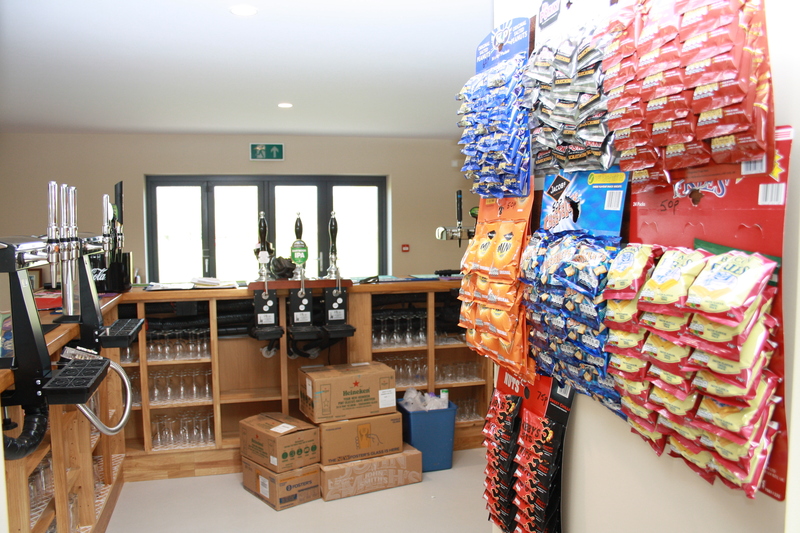 However a special thank you must go to Kerry Thornton, Eric Bird and Vince Webb for their sterling efforts with the catering and bar. Morning drizzle turned into light cloud then blue skies and sunshine. 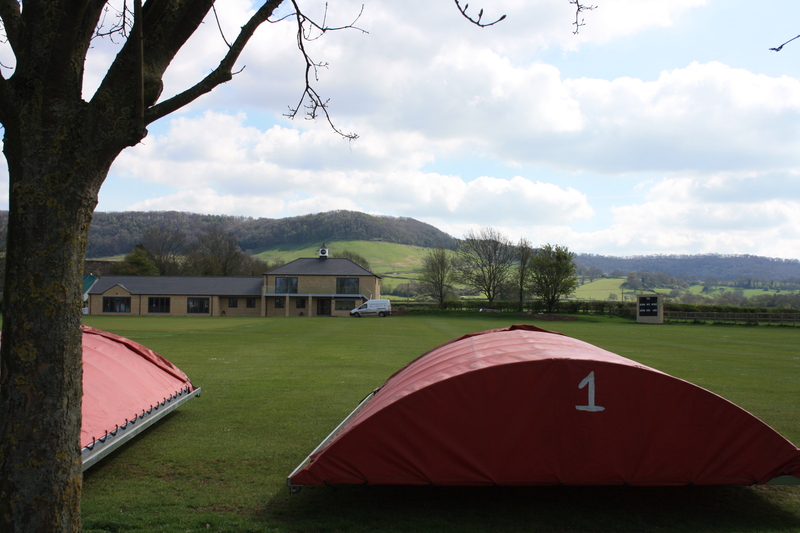 The cricket match was exciting with Frocester posting 210 in their innings after 35 overs. In reply it was a stand out performance by captain Ashley Skeete for North Stars scoring a century guiding home his team to a fine win with just 5 overs remaining. Our guests departed around 9.30 in rain, sad to be leaving and saying fond farewells, until next February at least when Frocester will be the visitors to North Stars for the return match. We can’t wait! We all arrived safely and eventually were dropped off at our relevant hotel along with our luggage, well, nearly all that is because during the check in process Pistol was seen running between the two hotels looking for two suitcases for him and Jane that never turned up where they should have. I am assuming he has since located them. Above are the merry band of souls about to venture forth to the check in gate. Thanks to Emma and Virgin for use of the V lounge prior to leaving for breakfast and drinks. Monday evening was a chance to relax a little after the long day travelling. The first full day, Tuesday was a subdued day with people acclimatising to their new surroundings. Yours truly was feeling a touch under the weather. This was due, I was reliably informed by seasoned traveler Stu Peacey was all down to the dodgy Ginger used in the drinks the previous evening. All those beers were fine, so too the rum so I guess he has a point about the ginger being responsible for my feeling of nausea that lasted all day. ‘Six on the Beach’ did take place as is normal tradition now. Brave hardy souls meeting up at the oceans edge for a ‘bob’ and a chat. Who would have put money on George Doors being the first to arrive? As far as I am aware not to much to report but stories may unfold as the days go by. What I will say though after an early morning rain shower freshened things up was it was very hot. The welcome relief of the sea breeze and some cold drinks helping matters somewhat. Oh, quickly going back a day briefly there was an incident, which I can mention on late Monday night. A couple of us had ventured over to a couple of music bars. I use the term bars very loosely as they were just wooden huts basically with chairs outside. Anyway, nearing the end of the night I decided to use the facilities. After being pointed in the right direction I found the restrooms. I ventured in and closed the cubicle door behind me. Only for a voice outside to shout” You are in the ladies restroom mon”. To which I replied ” Sorry, I have started now so I will finish”. This I duly did and opened the door to see a woman stood by the hand basins. Needless to say I was very apologetic again. At which point she spoke and said “come on then”. What the bloody hell?! You have never seen any 66 year old bloke move so quick. It was a good job there were no selectors there as I would have been surely entered into the next Olympics. It was lovely to see good friends Randy, Amory and Dwayne in the evening in the bar now renamed Amigo’s. This place has had more name changes than Prince! Once known as The Whistling Frog then it became The Sporting Pig and I am sure there were others. Anyway the actual place itself has stayed the same inside with cheap beers and a happy (two) hours. The next Odi between The Windies and England will be live on the tv’s in the bar so a good excuse to get out of the blazing hot sun for a couple of hours should one wish. Well that’s all for today you will be pleased to know. we will see what unfolds this second full day then as we prepare for the first cricket match tomorrow up at North Stars. More later then as I go and dry off. Because as I sit here typing this at 5.30 am in the morning in the little courtyard there was a sudden rain shower as often happens, brief rain shower first thing then when the sun rises it all drys up but offering freshness to the air briefly. Anyway to keep dry I moved into the restaurant area, only to find the roof leaked therefore having to move further in again and again. I was up and down like a happy mans bum! 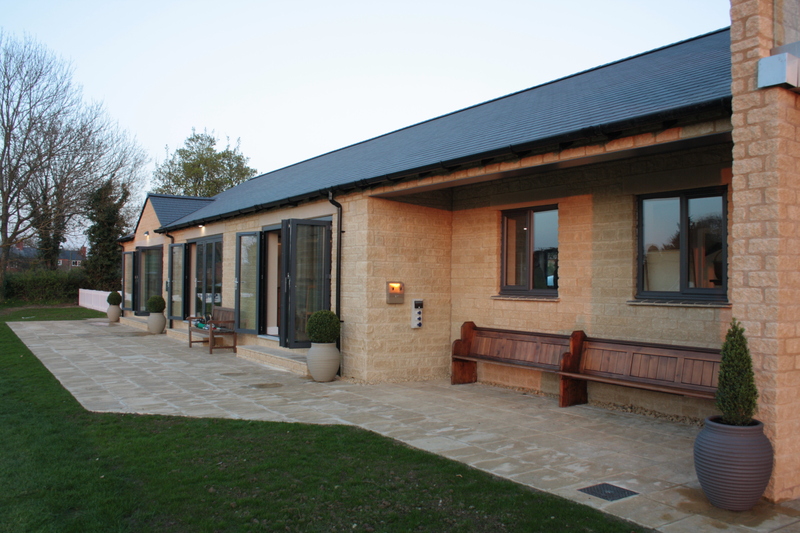 Well dear readers two years have passed since the last blog, which followed the progress of the new pavilion build. You should have all recovered by now so here we go with a new series of updates following the fortunes of 60 intrepid explorers as they engage in a cricket tour to Barbados. As one good friend on that magical island said yesterday “now the real England tour begins”. We will endeavour to win friends and hopefully 3 cricket matches along the way, but don’t bet on it! There will be no talk of Brexit and the only backstop will be the one on the back of a stool to stop people falling off. Di, Liz, Noah and myself were part of an advance party travelling down the day before as it was unfair to get Noah up at 3.00am in the morning to catch a bus. It also meant having a little extra time resting. In fact I woke up at midnight and have been awake ever since. Hence why this is an early morning blog. 4.20am I received notification that the last group have been picked up and are now on route to Gatwick. The other advantage of arriving the day before was to forewarn the bars to be brace themselves as a liquid breakfast will surely ensue after check in. Well nothing else to report just yet as not a lot is happening at this ungodly hour of the morning. Rest assured though good people I will update you all later. However as on all good trips the old adage applies, ‘what goes on tour stays on tour’. I will respect that of course but I am sure there will be much I can report on to entertain, amuse and enlighten you all with as the tour unfolds. I will sign off this blog with an advance apology for any typing errors now and/or in the future. My excuse is my fingers are too big for my phone keypad plus the dreaded autocorrect, which annoys the hell out of me. Not forgetting fatigue and maybe a drop of rum impairing the coordination of said fingers as the days go by. There we have it then, the start of another load of drivel for the next couple of weeks. 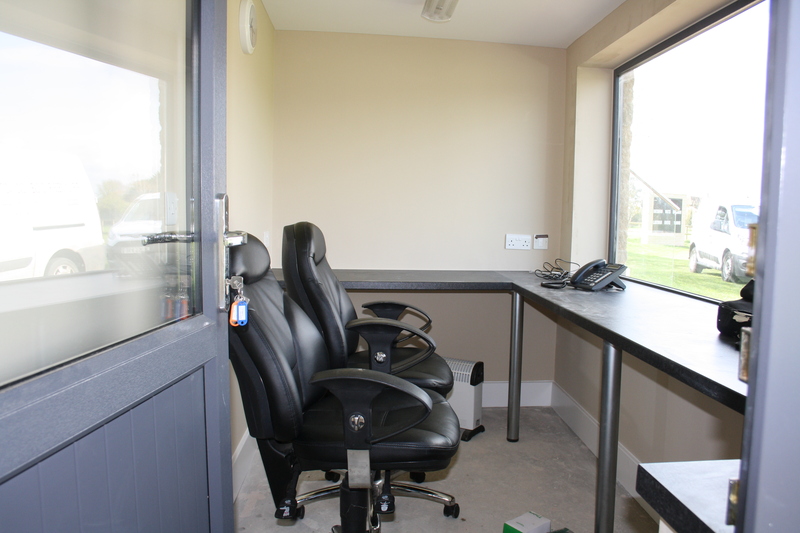 Now the ‘new Shack’ is fully up and running I bet you all thought thanks goodness no more drivel in the form of blogs from yours truly. Aha, you were wrong my friends, so here is even more drivel for you to digest on top of your turkey curry and trifle. Personally I prefer rice with my curry but if trifle is your preference who am I to question it. 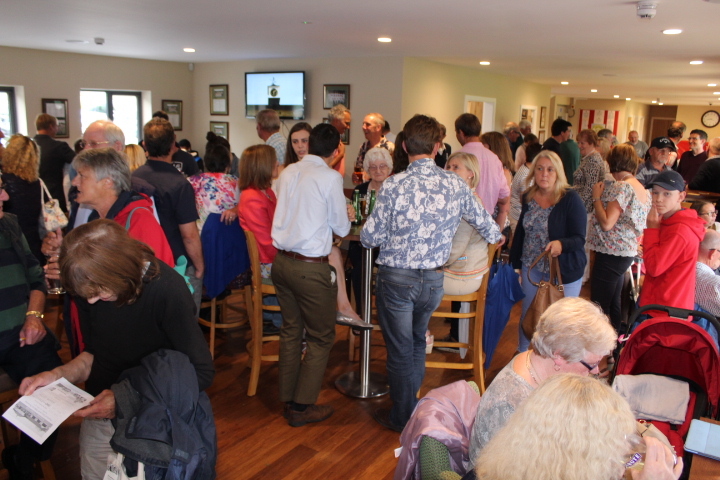 I am sure the vast majority of you have now enjoyed the wonderful new facilities of the new clubhouse over the course of this past spring, summer and autumn. For those who have not then please come along and see what we have done to the old place, you may be pleasantly surprised. A reminder that the club will be open for the old year’s night or new year’s eve, whatever you want to call it. It will be a low key evening but probably will degenerate into mess before very long! Music courtesy of DJ ‘Doorsie’ who has created his own special mix of ‘tunes’ and bring whatever leftovers you may have left (that includes curry and trifle). On Saturday 20th January the club is throwing open the doors to a Barbados night, aimed chiefly at the 60 odd people (and trust me they are odd) who have booked to tour in February 2019. However it is not just restricted to those travelling and it is open to anyone who fancies an evening of Caribbean style drinks, music and maybe food? 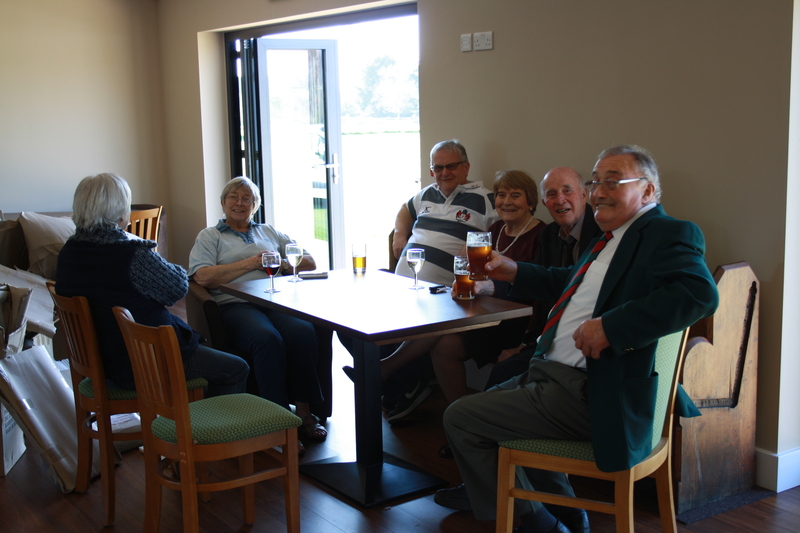 A chance to catch up with friends and lets be honest another reason to open the club for a few drinks, not that we need a new reason as almost every Saturday afternoon the club open for drinks, cheese and biscuits and mainly rugby on the TV. Incidentally there are just under 60 people signed up for the 2019 tour to Barbados and it is shaping up to be a most memorable experience. With 3 cricket matches against local teams, The Sandy Lane Gold Cup, the now legendary catamaran trip, the even more infamous fines night plus many more fun times aplenty. There may still be an opportunity to join in the fun, just speak to Birdy or me (Tony Bray) for more details. remember though as every week goes by so too the cost may rise? Be quick if indeed you are tempted. We are still waiting on the fixtures announcement from The ECB and The Windies regarding England’s tour to the Caribbean at the same time, we may be lucky and catch an international whilst we are there? To sum up this ad hoc blog then; there are plenty of opportunities to witness first hand ‘The New Shack’. There will be other events to announce and I know first hand the Supporters Club Committee are working hard to come up with new and fresh ideas for fun times at Pounds Close. So please keep checking the website for news etc. 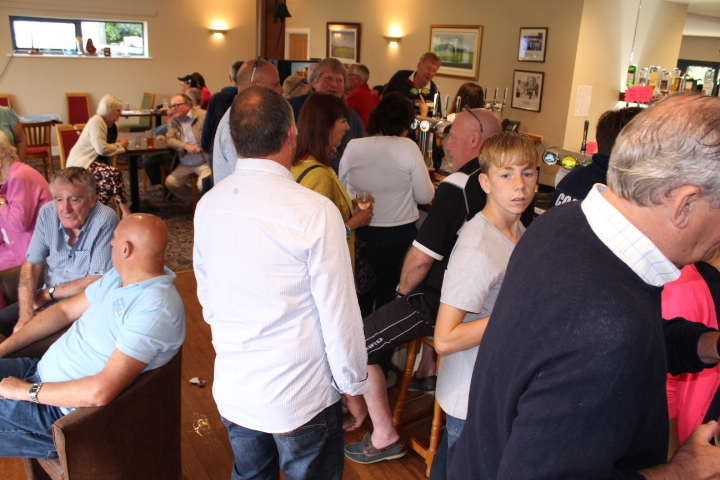 If you have any ideas on what you would like to see or do at the club then just let someone on the supporters club committee know and they will happily organise it for you. Oh by the way, on the cricketing front exciting news that in 2018 we are entered to play in The Village Knock Out Cup again after a few year’s absence. The first team squad will continue in The National Knockout Cup as before but the Village Knockout will comprise of players who have not been involved with that 1st XI squad, i.e. the seconds and thirds etc. More cricket on a Sunday can only be good. I know I speak on behalf of Chairman Evo and his merry band of committee members across the club when we wish you a peaceful, prosperous, stress free and Happy New Year for 2018. Tara a bit, have fun and stay safe. The end but a new beginning. Just when you thought it was safe to start reading your emails again along comes another blog. 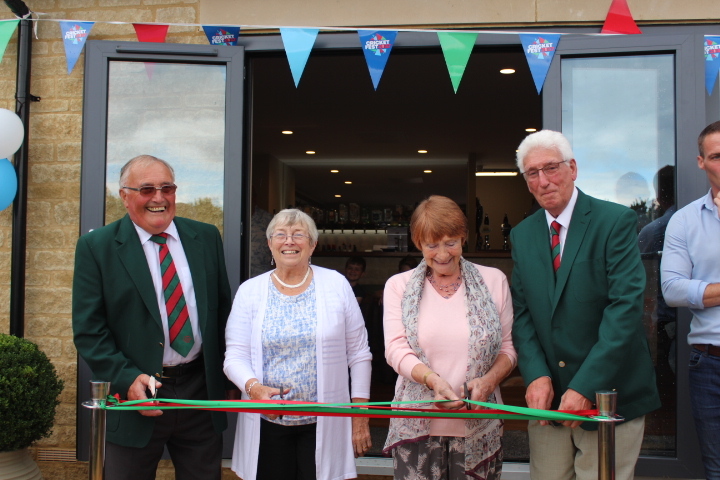 Well this should really be the final chapter with the pavilion now compete, opened and fully used, culminating with this the official opening. Following are some pictures of the day starting with the main event. The ribbon cutting by John & Marjorie Hawkins with Phil & Mary Herbert. Watched over by Simon Jones MBE, making sure Herb doesn’t cut himself. He was warned about holding anything sharp, which is probably why he struggling to cut through. 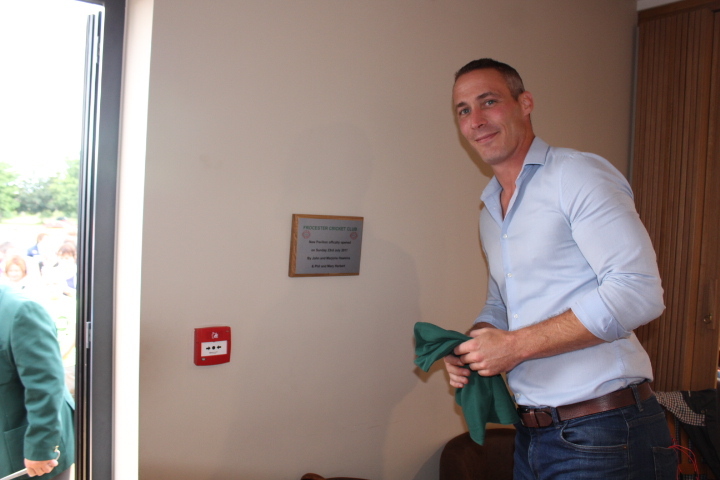 Soon after Simon unveiled a plaque commemorating the event. Another unique and special moment came in the form of another unveiling, this time of our three friends who sadly are no longer with us. Margaret & Simon, Carolynne and Will perform the honour of revealing a lasting memento of three hugely influential people. Namely David, Billy and Bob. Now lets go back to the start of the day. Early morning sunshine looked promising as volunteers and the women’s softball contestants arrived at Pounds Close. However we should all know by now not to become complacent with such things. True to form it started drizzling, which became more consistent rain as the morning progressed. This did not deter a band of ladies intent on performing and enjoying themselves. Starting off with the Zumba warm up. They had waited for the arrival of Don Pearce who was to lead the group but unfortunately he struggled to get into his leotard in time so they began without him. Undaunted by the rain the ladies dispersed in their groups to play their games. 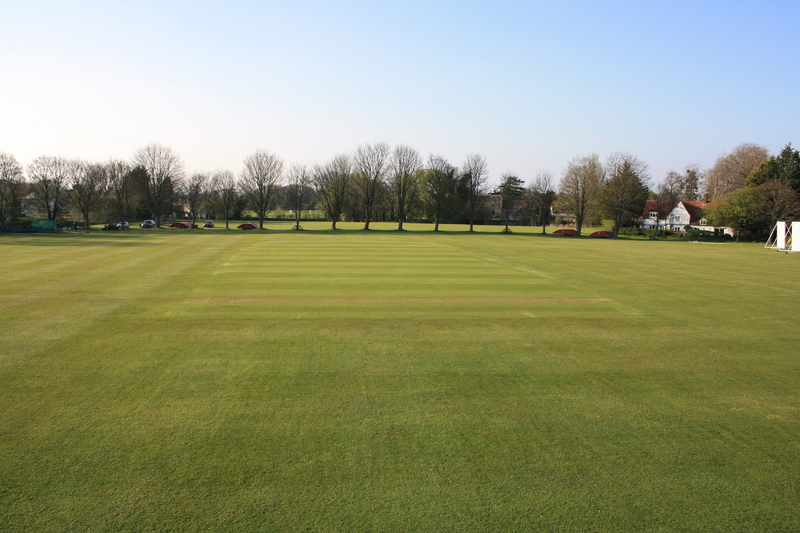 5 wickets were in play dotted around the outfield where the games took place. Watched on by their supporters old and young alike. The whole area was ringing out with laughter and you could clearly hear and sense the fun they were having in what had now become quite persistent rain. Yours truly braved the elements to capture the moments, well if the girls are willing to play in the rain then who am I to deny taking their pictures. To the sounds of ‘Rain drops keep falling on my head’, Singing in the rain’ and ‘Umbrella’ playing through the music system the girls carried on regardless. Oh how the people in the warm, dry pavilion chuckled. Dripping wet and exhausted the ladies gathered in front of the clubhouse to hear a brief well done speech from GCCB’s Scott Tremain and a presentation followed. Each team receiving a bottle of procescco to do with as they wish. This really was a great family day and so it was the youth element of the club had their end of season presentations and awards. With the little ones from The All Stars programme each receiving praise and a little something. Simon Jones joined in by bowling a few deliveries down to some of the lads. Meanwhile burgers, hot dogs and later a hog roast was selling like they were going out of fashion. The T20 game fell victim to the weather. Although play was started a sudden downpour of biblical proportions wreaked havoc and any thoughts of returning after that was dismissed in an instant. Speaking of divine intervention so it came to pass that as soon as the game was cancelled and the opening ceremony brought forward so it stopped raining and yes the sun came out just as the ceremony was taking place. I think Billy, Bob and David had had enough and sorted it out on our behalf. The pictures of the ceremonies you have seen earlier in this blog. 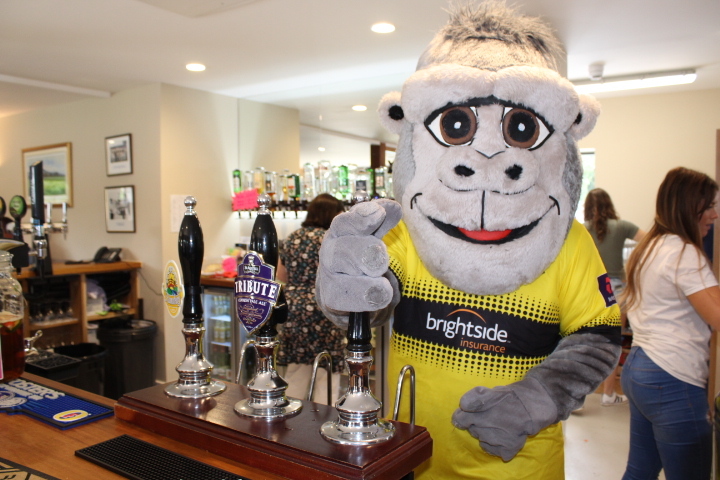 One you haven’t seen though is our new barman, he was a little shy to start with and didn’t know what to expect but he did well and nobody argued with him anyway. I know they say that dogs tend to look like their owners but flipping heck Birdy that’s going too far. Nice to see a few ex Gloucestershire players in attendance, Alex Gidman, Andy Stovold and David Partridge and equally important a few old stalwarts of the club from days past. 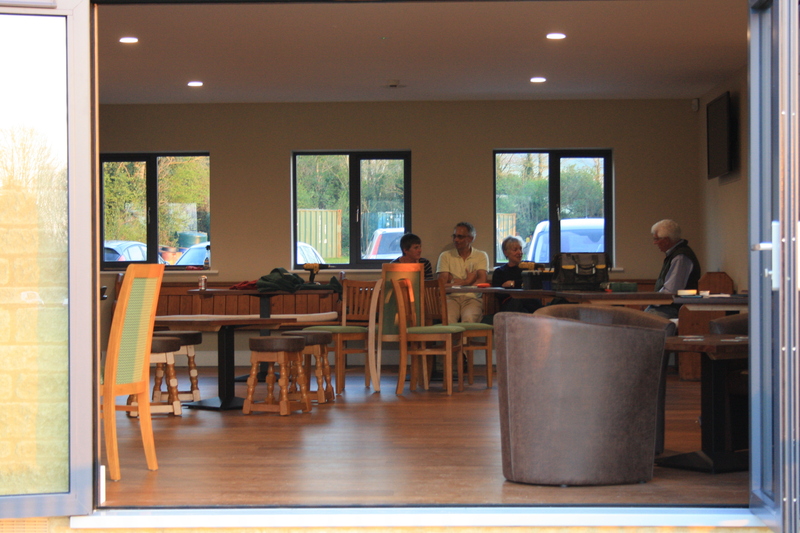 Due to the game finishing early the bar was hit big time and regrettably people started to drift away earlier than planned and were not there to hear Stephen the Busker serenade us with his lovely gentle music into the night. The regulars were though and entertained we all were. I hope that offers a glimpse of our very special day and on a personal note thank you for reading this tripe all through the winter and you will be pleased to know I probably won’t be around for the next opening so no more blogs! 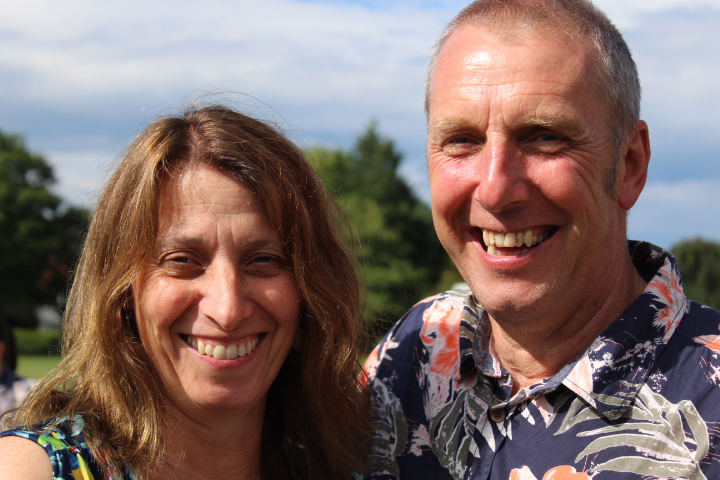 Oops, I should also mention that the day also marked a special occasion for two stalwarts of the club, Dave & Sarah Poultney who celebrated their 25th wedding anniversary; congratulations guys. Back in business – here endeth the blog. 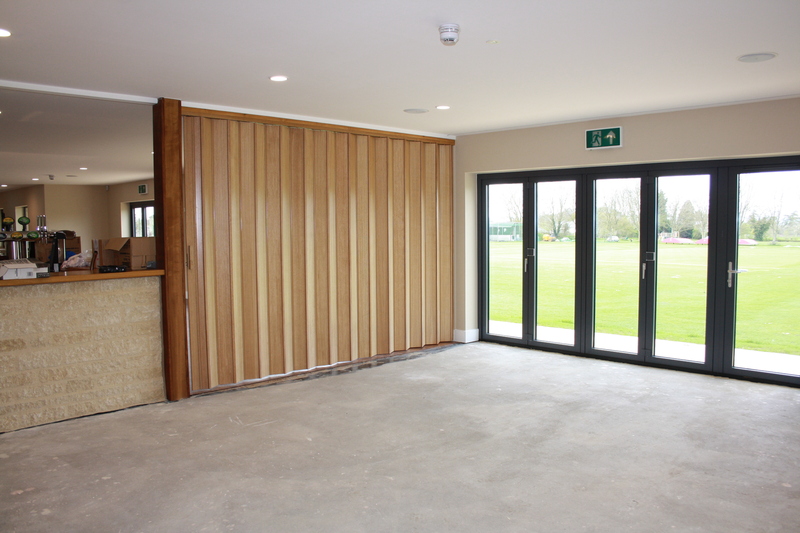 Here we go then the final blog following the construction of the new pavilion. 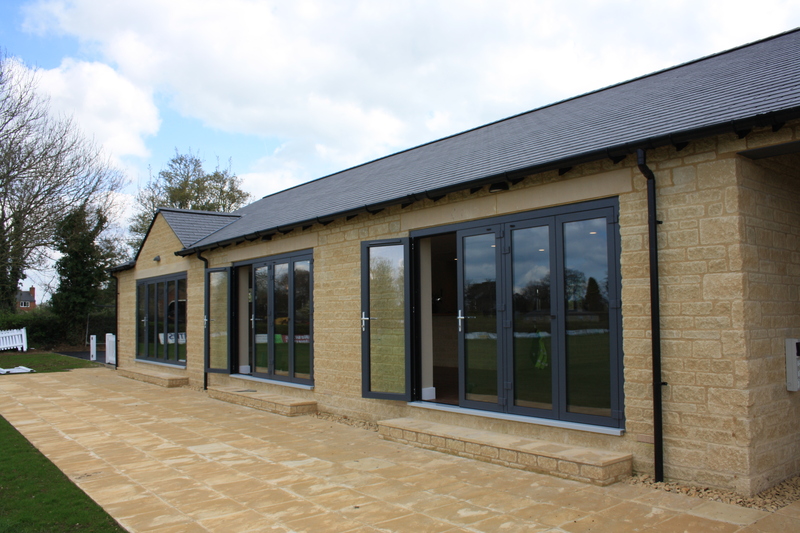 Friday 7th April 2017 will be etched in the club’s history as the keys are handed over to the club as we open for business a full two weeks ahead of schedule. 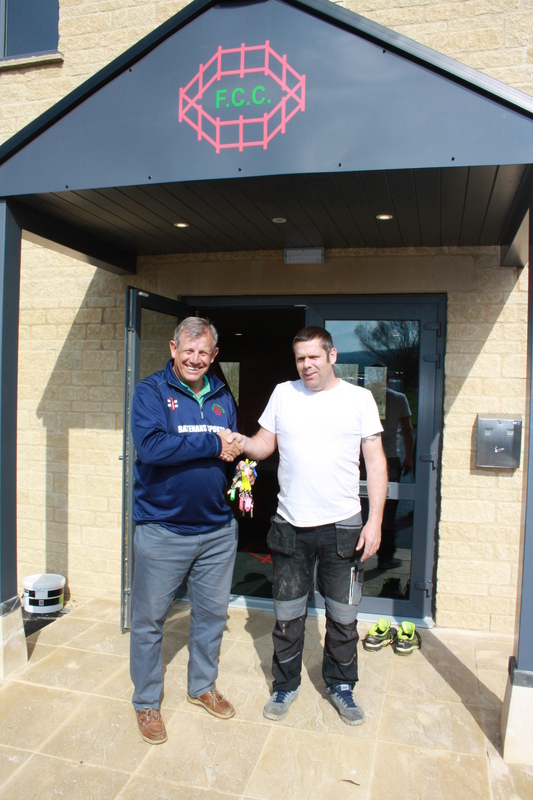 Mark from Fromebridge Construction hands over the key of the door to Chairman John Evans. Well there appears to be more than one key actually. 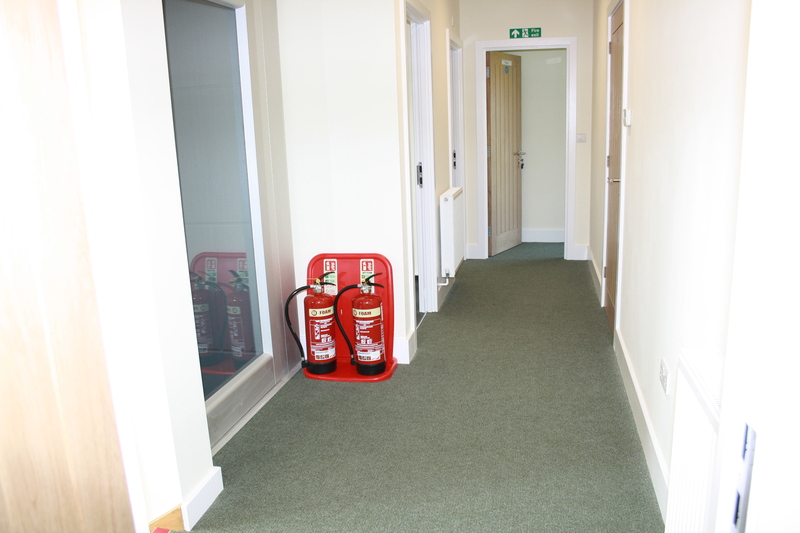 A key for the door, one for the alarm system, cellar door, window locks, store rooms and other systems control rooms. In fact Evo has given up cycling as he claims it will keep him fit just carrying all those keys around. The low key ceremony; did you see what I did there, not like me to come up with a play on words. Anyway the hand over followed a couple of hours of going through the workings and mechanics of the systems in place to keep the building safe and secure. 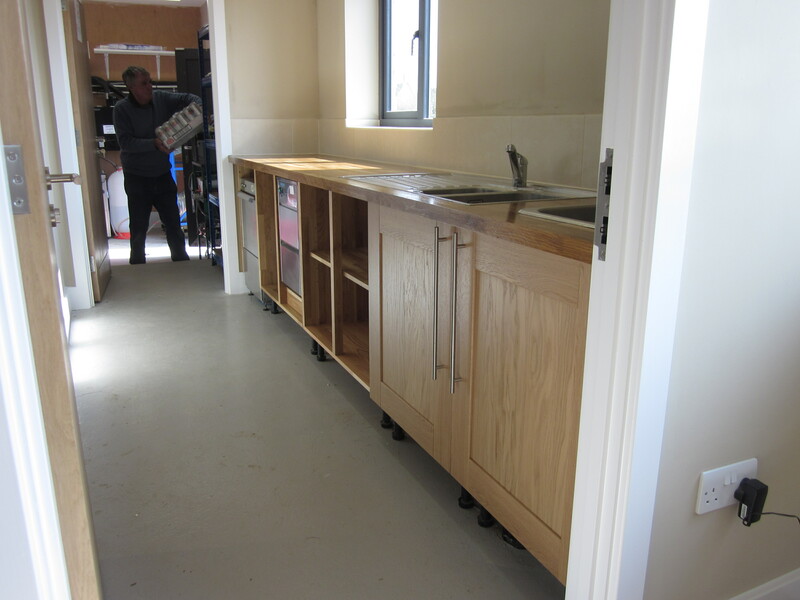 The brief exchange was followed by more work as some of the furniture arrived. Maggie, Jane and Pistol carried on sanding down and re-varnishing the old benches. 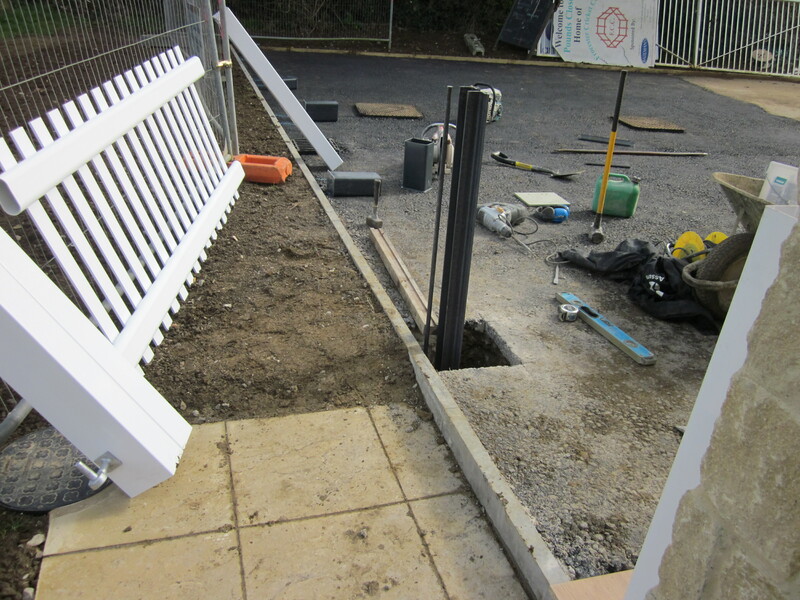 The final paint touching up was going on around us and the ‘invisible’ skittle alley was still being finished off. Some of the attendees for today’s lectures in how to lock up and set the fire alarm. I make no apologies for the length of this blog, which is mainly taken up with more pictures. So that means less waffle from the yours truly you will be pleased to read. 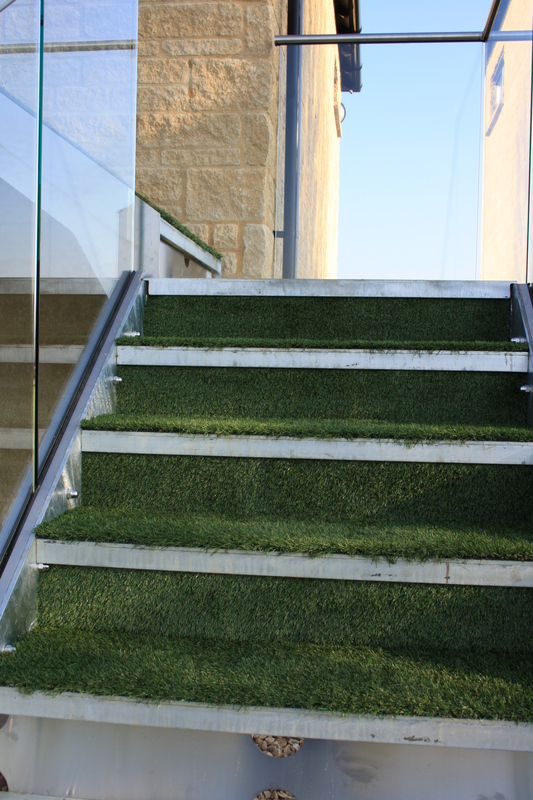 Here we see the astro turf effect matting in position on the stairs up to the balcony/changing rooms. 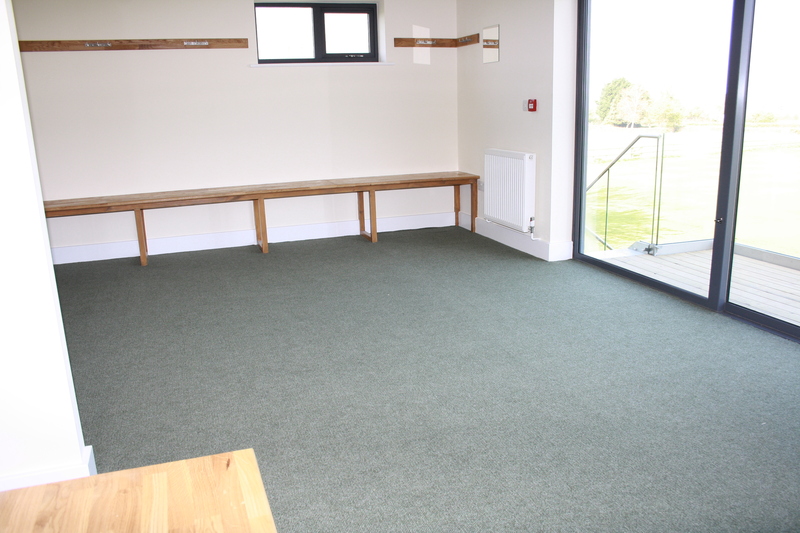 Talking of the changing rooms below are pictures of the finished rooms fully carpeted and clean. Let’s hope the boys can keep them this clean and tidy. 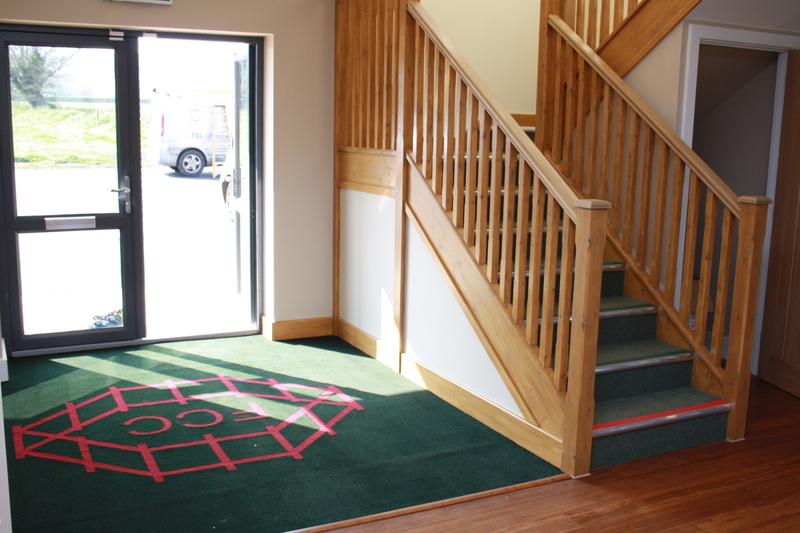 The entrance has a FCC welcome for all, a nice touch also are the stairs, decked out in the club colours. 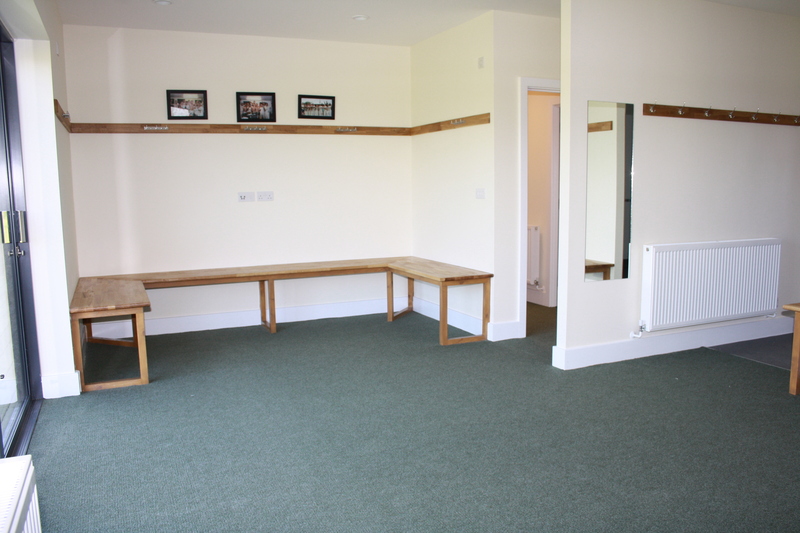 The top of the stairs lead to the passage along which can be found the Home and Away changing rooms (as shown above), a separate room with shower for the umpires and one also for ladies. To the left as you enter past the stairs and lift are the disabled, ladies and gentlemen washrooms or more commonly known as loos, bogs, and other more Anglo Saxon names I could not possibly type here. To the right one walks towards the bar area. A place where one can find local vagabonds, story tellers and jesters alike. More importantly some of the nicest friendliest people you would wish to meet. All with a common love for cricket and sport in general. 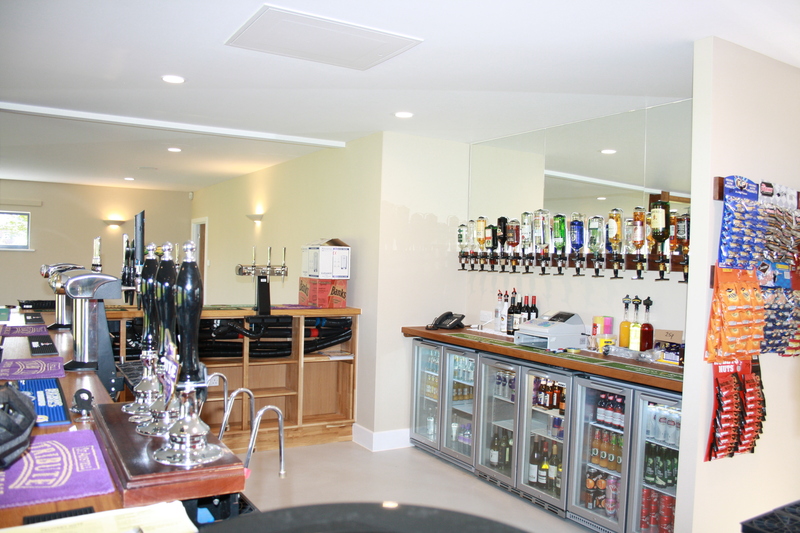 The bar itself is ready and waiting for your business. 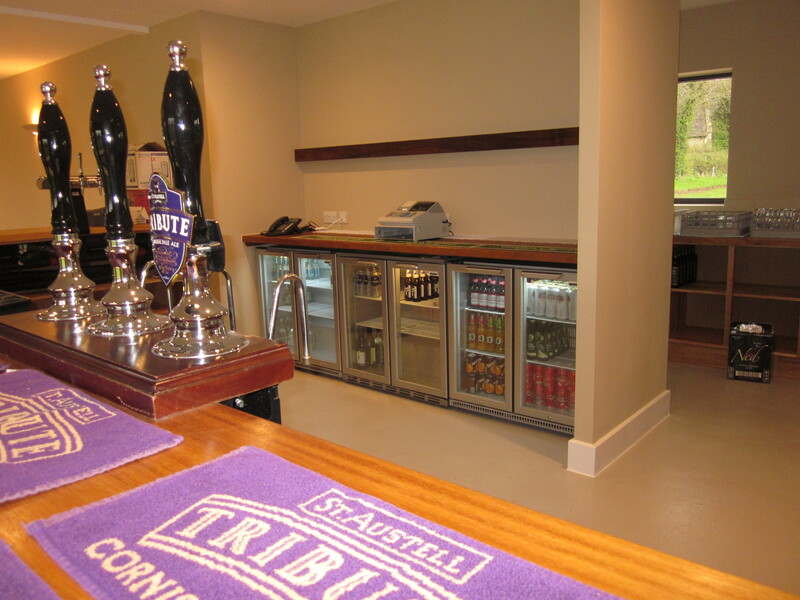 Incidentally the bar is open from 12.30pm on Saturday 8th April. There are a couple of rugby matches on TV but it is also an opportunity for you all to view and marvel at what has been achieved following numerous years of fundraising and a lot of hard work. 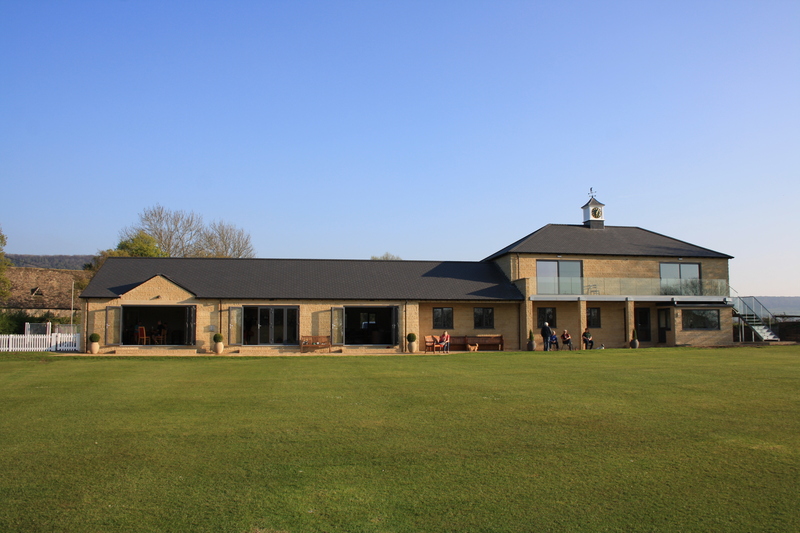 Note also that on Sunday the 1st XI are playing a friendly against a Wiltshire XI at Pounds Close, so another chance to come and take a look. The ground itself is looking wonderful, as usual, we just need the trees to grow this years foliage and it will be complete. This is the view from the balcony, not a pretty sight I admit but he works well and is cheap! We are still waiting for the bar stools to arrive but in the meantime Pistol has provided a couple of unique additions. 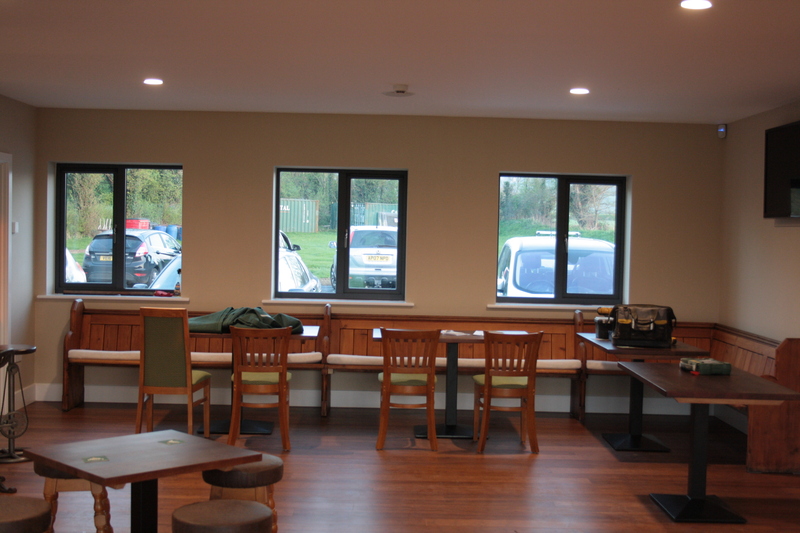 These pictures show some hardy souls who unselfishly gave up their time to try out the surroundings, test the seats and to check the bar is working properly before you all venture forth and sample the goods on offer. It was a dirty job but someone had to do it. 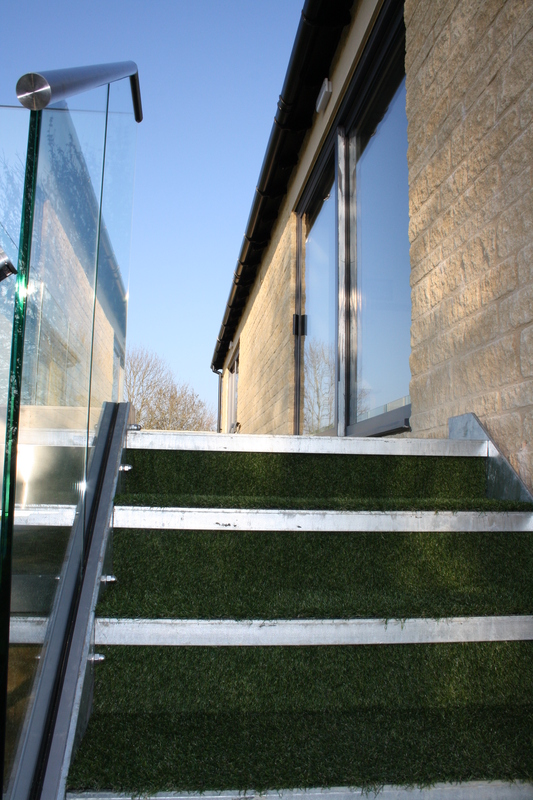 A lovely addition to the building came from Keith and Jane Wand who kindly provided some tubs and greenery adding a softening touch to the building by adding a little colour. Wandy, (or was really Monty Don? ), was seen on his hands and knees with a trowel planting the shrubs like a true expert. 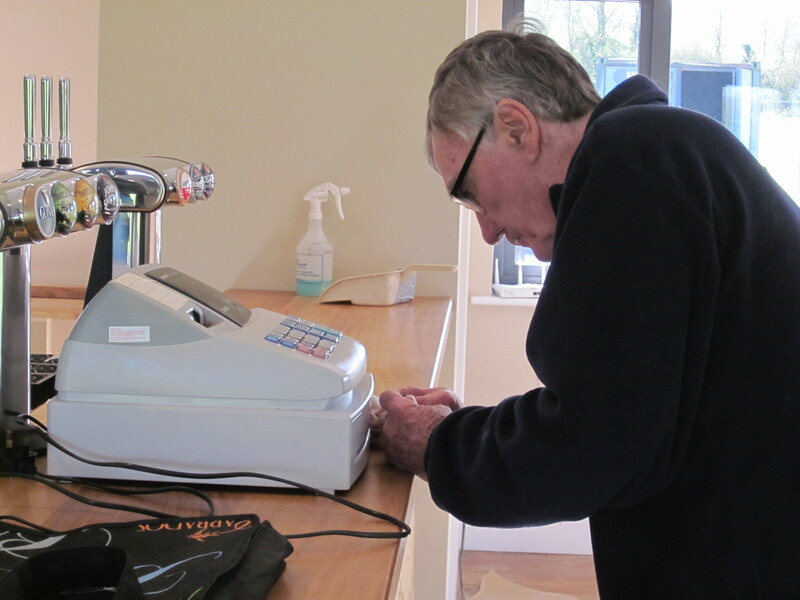 Rumour has it that Keith lost his glasses whilst performing this arduous task so that makes two pairs he has lost now. Well there you have it good people, that’s the last you will hear from me…alright, alright there’s no need to be like that! There is still a little work to do but only minor things, there is more furniture to arrive but instead of me showing you pictures why don’t you come down and see for yourself. Pictures do not do it justice so you need to view in person. Without question you will be made most welcome as most of you know anyway. 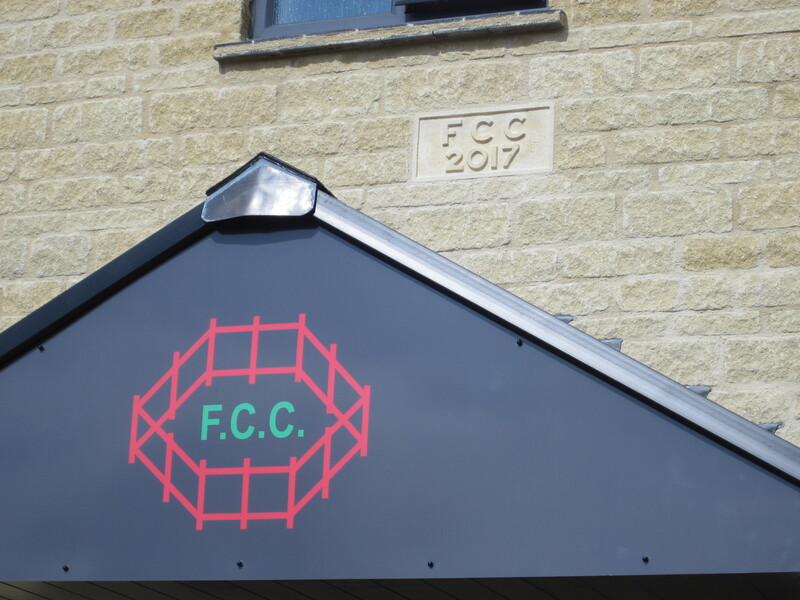 All these blogs can be found on the supporters club website: http://www.frocestercc.com (aka The Red Picket Fence). Here you can also go to the pavilion update page where a complete record throughout the build can be found. Any picture on there can be shown in a much larger format if you wish. 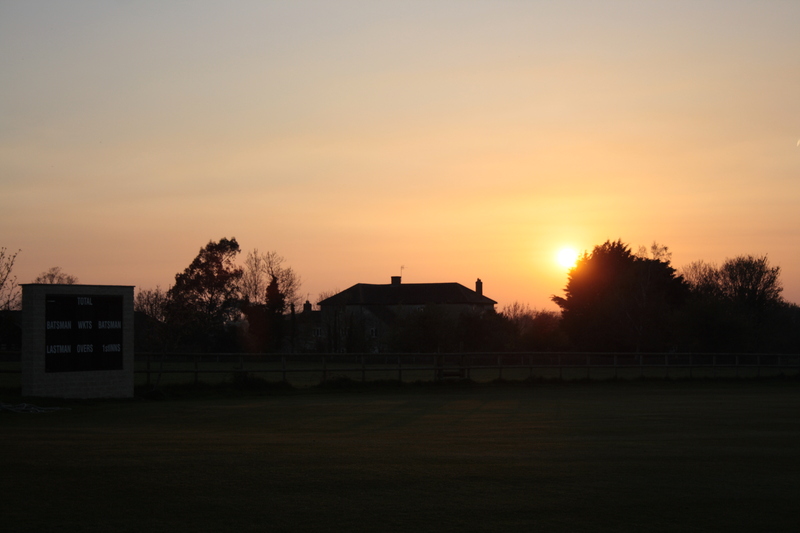 So as the sun sets over Poulter’s house I bid you all farewell. Well avid readers of this blog it is nearly time to call it a day. 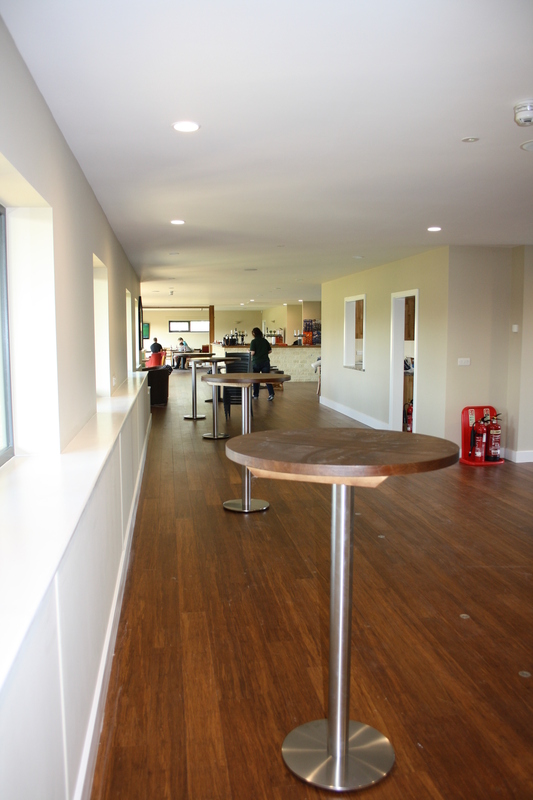 The final week of work before the keys are handed over and the club opens for business this coming weekend. It has been a relatively short journey in the scheme of things. 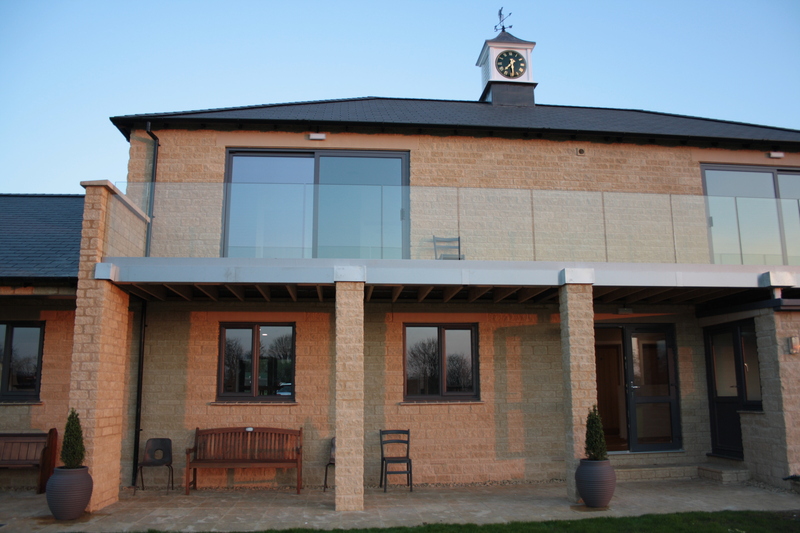 It has taken us from the demolition of the old pavilion, through a pleasant Autumn and indeed a very kind winter. We have watched with interest the rise of the new ‘Shack’ and marvel at the final construction. We have lost some good friends along the way and the memories of Bob, David and Chris, a trio who worked tirelessly to get the project to where it is now will not be forgotten. On a positive note we have also made some new friends and hopefully will continue to make even more with the club open to new members. 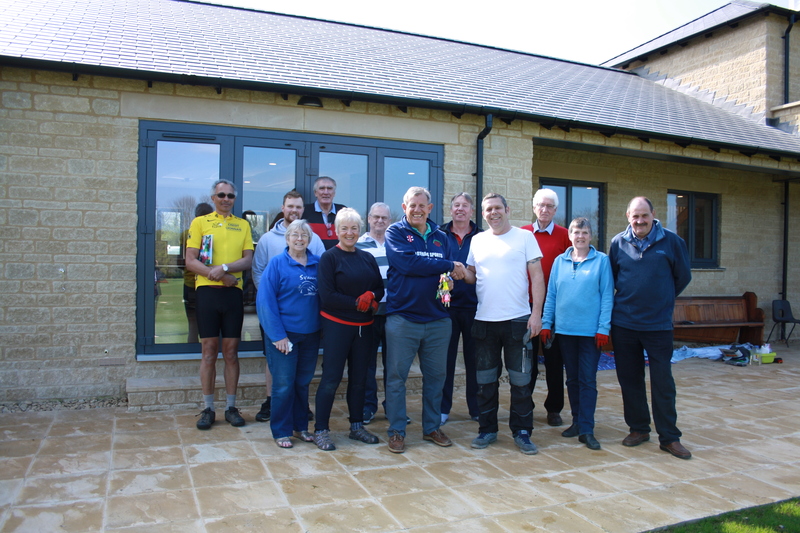 It has been fantastic the way everyone has pulled together to achieve this end result and are still doing so with kind and generous donations still being made to help furnish the new pavilion. 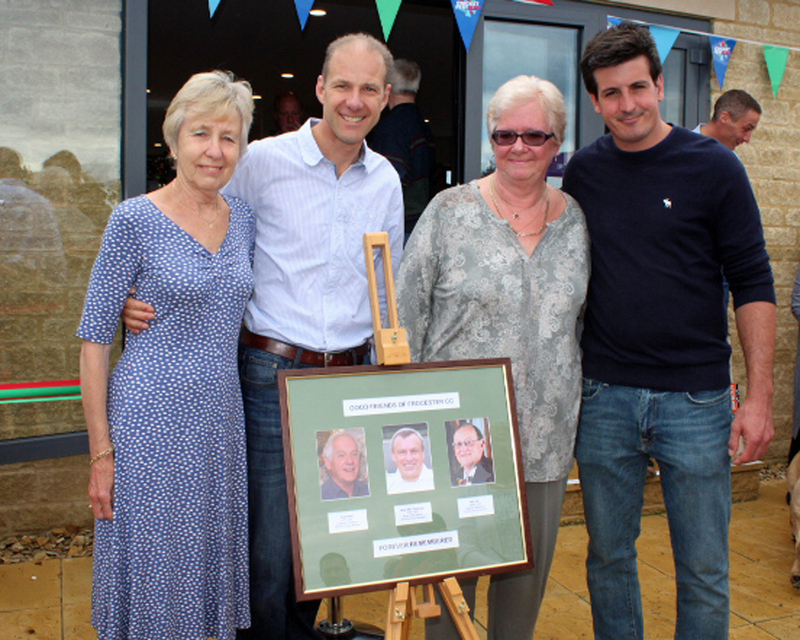 Thanks to the club’s Project team for ensuring we have a building to be proud of for a very long time to come. On a personal note I have taken pleasure from providing you all with regular updates. My PC is full of hundreds and hundreds of photographs so my next task will be to store them properly and clear up some space and memory. Although it has been a struggle at times especially falling ill at Christmas and losing the best part of 3 months as a result I have been grateful to Ali for helping by taking pictures for me whilst I have been unable to get out. 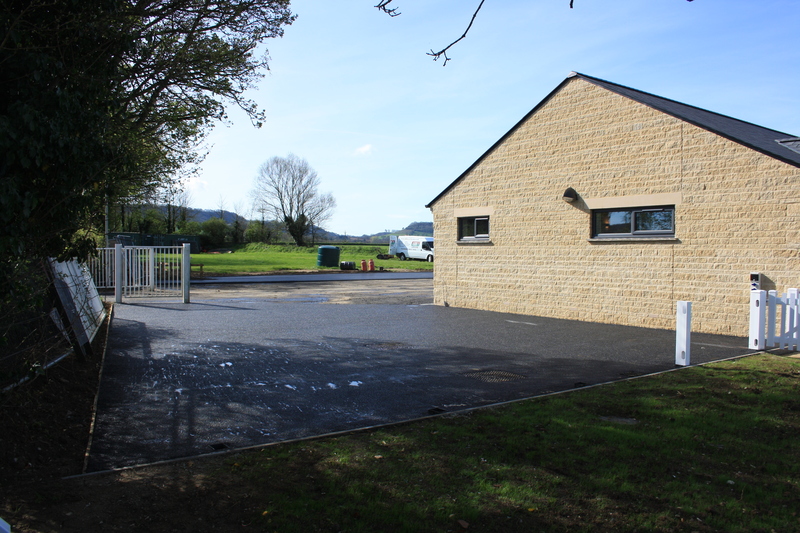 There will be one final blog and that will be Friday or Saturday, time permitting, once the keys to the club has been handed back over from the construction company Fromebridge Construction. It must be said what a fine job they have done. 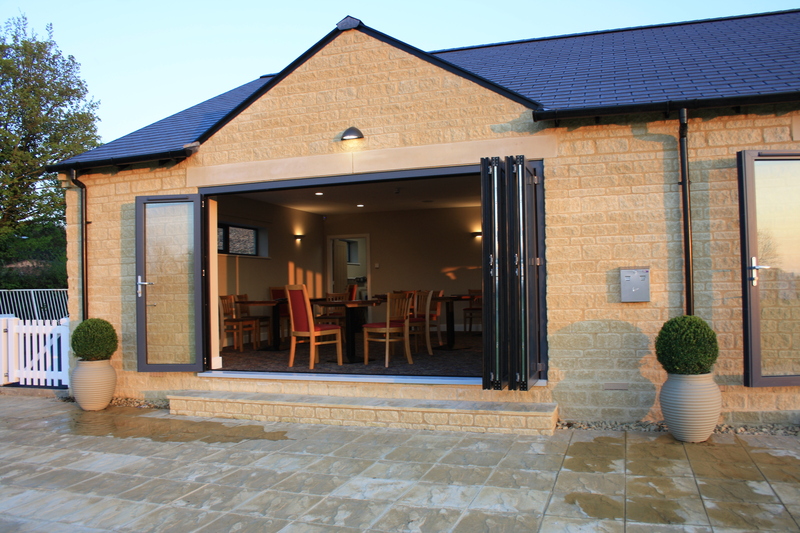 From start to finish they have been fantastically professional with special praise to Mark who has been there throughout overseeing and coordinating everything and everyone. Anyway I cannot finish without a few more pictures. 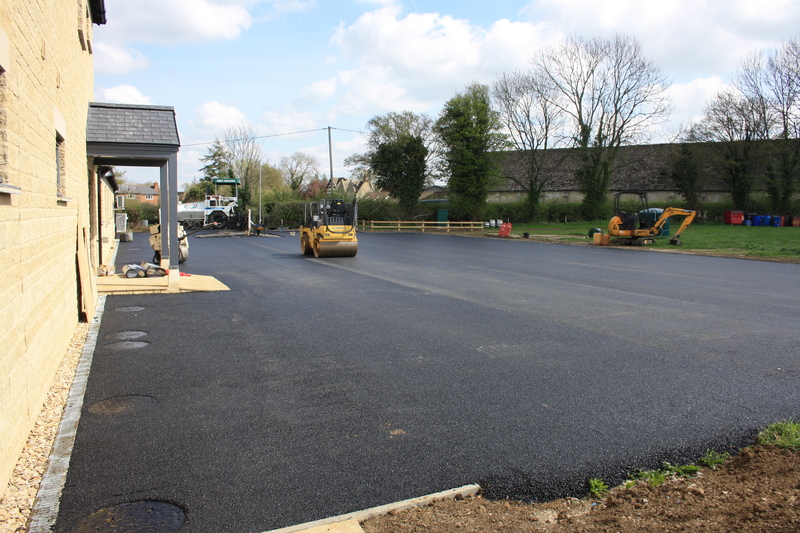 Recent developments has seen the car park resurfaced on Monday. The dark tarmac compliments the building and it looks a very big area, but that is without any vehicles parked there of course. My understanding is parking bay white lines will be painted with disabled parking spots either side of the entrance. 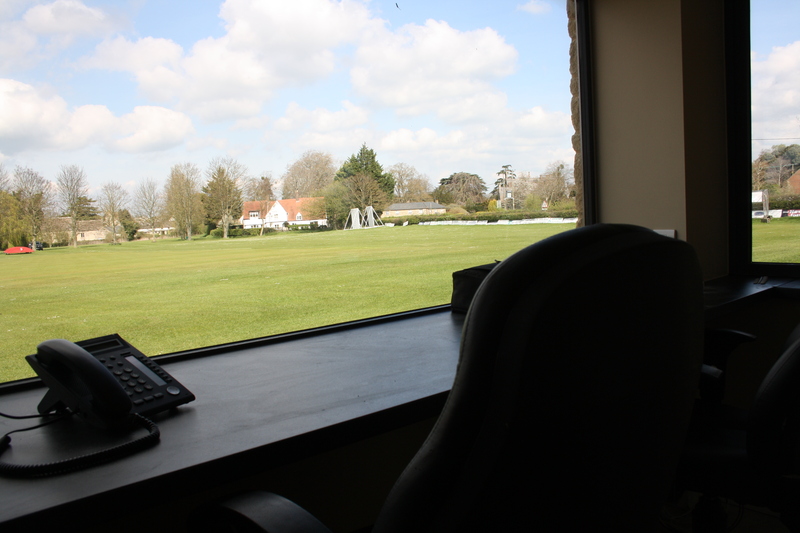 The scorers box has an uninterrupted view of proceedings during play. Back inside the club the final touches are being made. 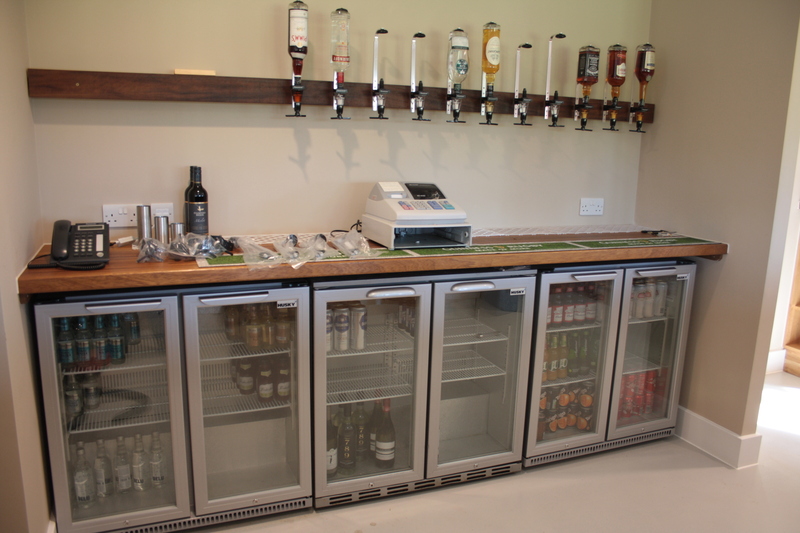 The bar is coming together nicely and the shutter doors to separate the bar and the lounge works well. There are some mirrors to be positioned above the optics, which arrived yesterday. All this will be shown in the next and final blog at the weekend. 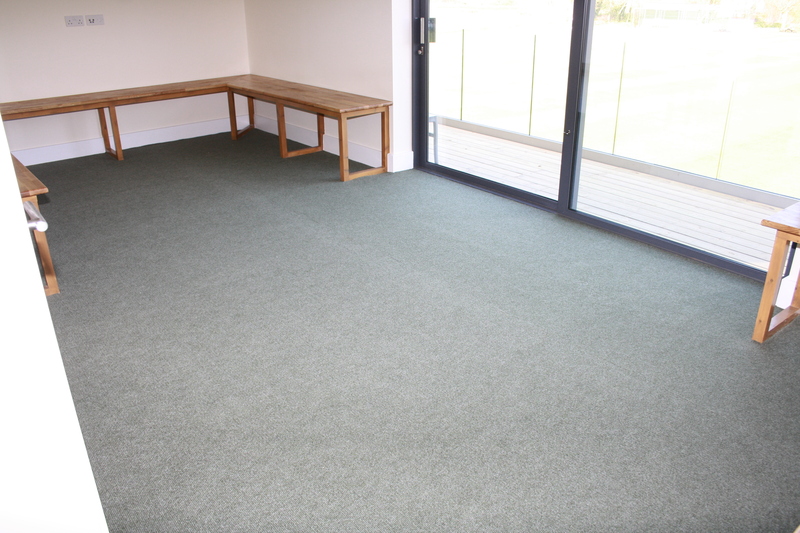 The carpet in the lounge is being fitted on Wednesday/Thursday. 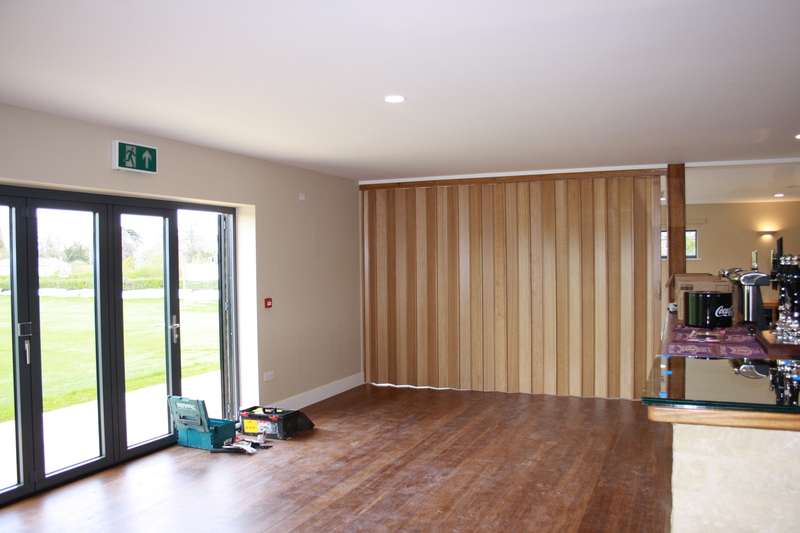 A professional clean of the bamboo floor will be carried out prior to the handover. A ramp is being ordered for easy access to the pavilion and a baby changing unit to be fitted are the only outstanding works to complete. 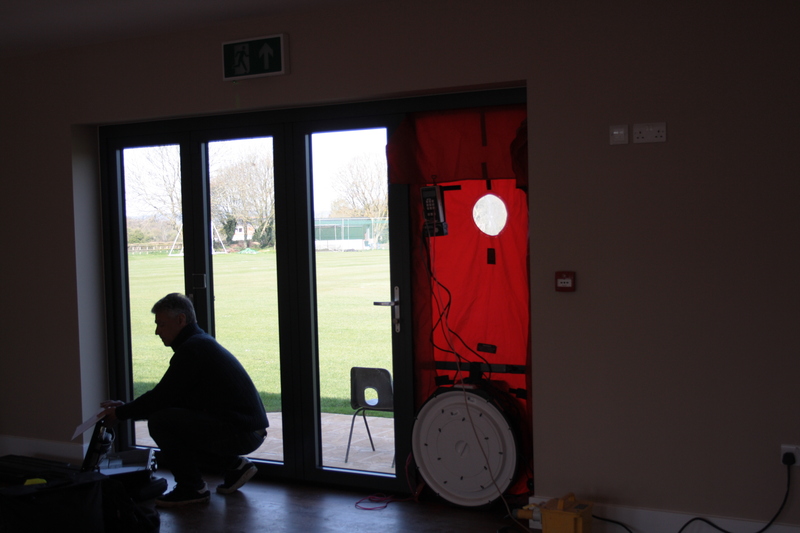 The building was ‘Air tested’ for efficiency yesterday by an independent company, who closed the building during this said test to check for any leakage of air which in turn would have affected the heating and I am happy to say it passed. The council are due to in today (Tuesday) to hopefully give the final sign off and approve the construction. Meanwhile work goes on outside in preparation of the season ahead and with a proposed friendly on Sunday the first track is currently being prepared. There you have it, the last but one blog. keep watching for the final one at the weekend. No long spiel of nonsense today, just a plain and simple picture. They must be happy with what has been achieved. Thanks chaps. Just a few pictures today good people, but what pictures they are. Whilst on a routine visit to keep you all posted on any new changes so it was that St Austell turned up to off load some barrels of beer. Well who are we to refuse such a kind gesture. Okay it says Bath Ales but they are now indeed owned by St Austell. It matters not as long as the beer is taken off the back and placed in our cellar. 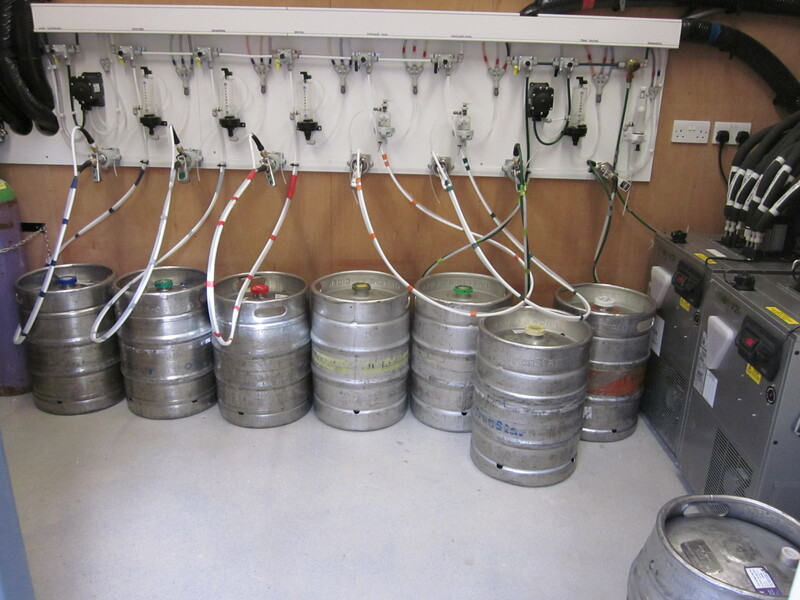 The new cellar, which has been recently kitted out with all manner of pipes and tubes was ready and waiting. The new floor is very good as the barrels did not mark it in any way and with a drain in the middle it can be easily rinsed to keep it clean. Here they all sit in just waiting to be tested. From left to right we have: Fosters, Heineken, Amstell, Thatchers Gold, Thatchers Haze, John Smiths and Guinness. Over to the right is one of 3 real ales. 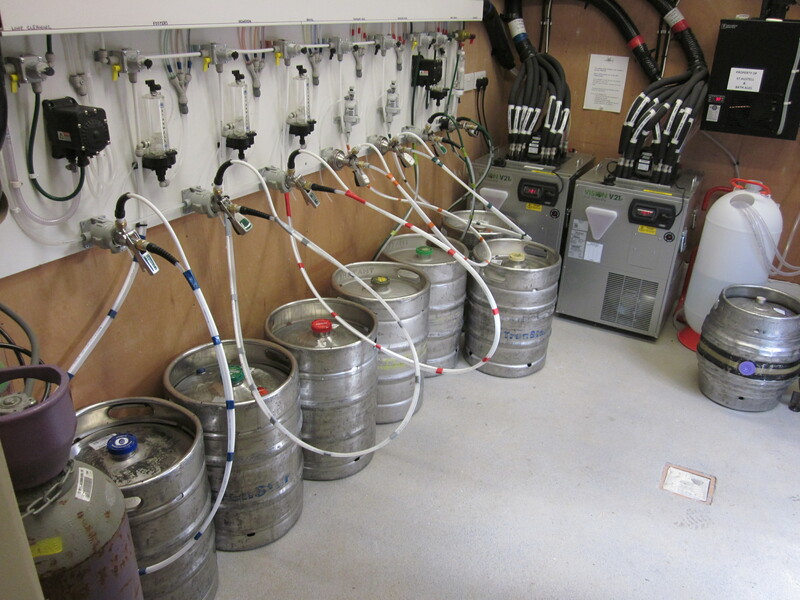 Alas all is not what it seems, although actual kegs, they are there for testing purposes only at the moment just to check there is the right pressure throughout and it all flows as they should. Sorry the bar is not open for business just yet, bugger I hear you all shout! A few more weeks and it well be however. Birdy has even found the till and is giving the old girl a good clean, whilst also checking for any iou’s. 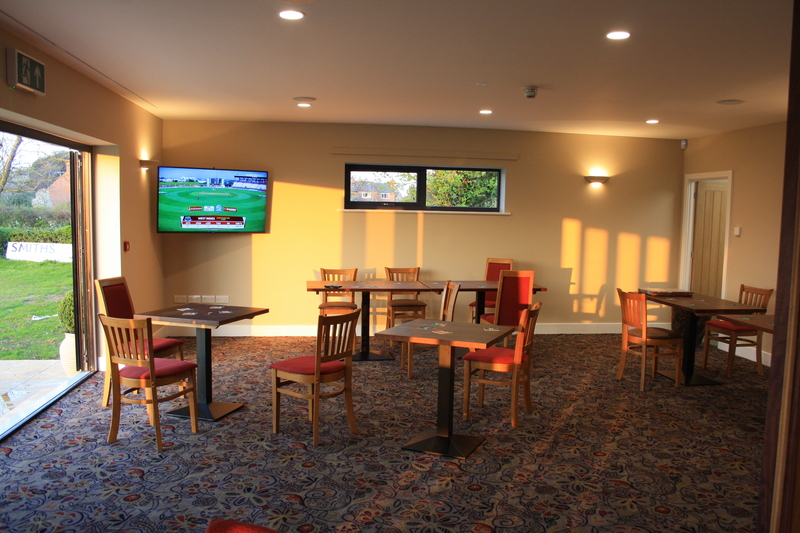 The club has CCTV fitted throughout and a high level of security alarms all operational. Much of the inside you have already seen in pictures previously although there is work going on all the time with the finer points of the construction industry. Don’t expect me to inform you what they are however as I haven’t got a clue. All I know is there are people fiddling with doors, plumbing, electrics, paint brushes, oh and yes, erecting a new fence outside. Well that’s all I can offer today peeps. You should be happy in the knowledge that there will not be much more of this drivel as the building nears completion. 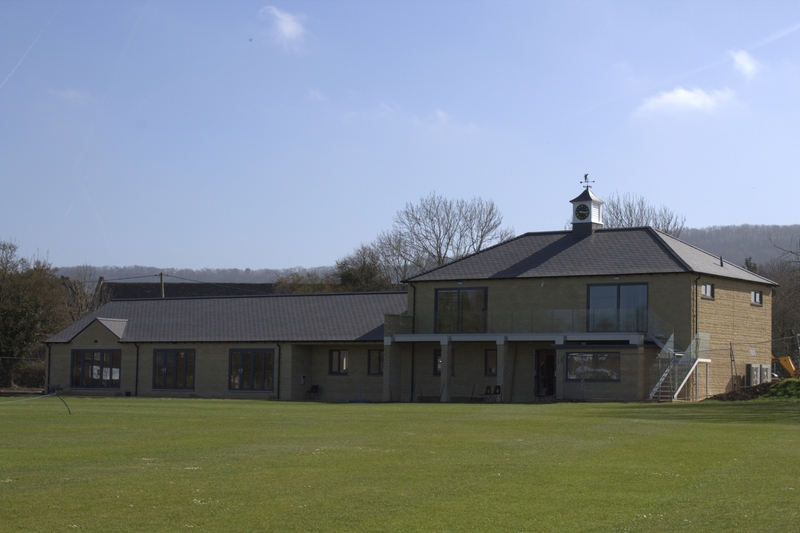 On a serious note I hope you have all found this interesting, watching the development of the new pavilion over the autumn, winter and now spring. I have quite enjoyed doing it I have to admit, in fact I would be happy to do more. Perhaps I could start a business creating blogs, copy writing and other general nonsense. If any one reading this is interested please let me know. Seriously I would love to do this for a living, doing something I enjoy for a change. I am very cheap to run, much like an old Morris Minor, so old I don’t need taxing, easily repaired when broken down, low emissions except after pickled onions, comes with a starting handle (easily wound up) and fuel efficient, a glass of gin and tonic and I am away. Just ask anyone who went on the trip to Twickenham a couple of seasons ago! Open every Saturday and most Sundays throughout the summer. Every effort has been taken to ensure the content is correct and non offensive at all times, although inevitable delays, rearrangements, cancellations and yes, mistakes may and can sometimes occur. The site is updated at regular intervals but not every day so please be mindful of that. If you care to comment on any aspect of this site or indeed wish to add anything then please email me, at tonybray14@aol.com and I will do my best to accommodate your request. 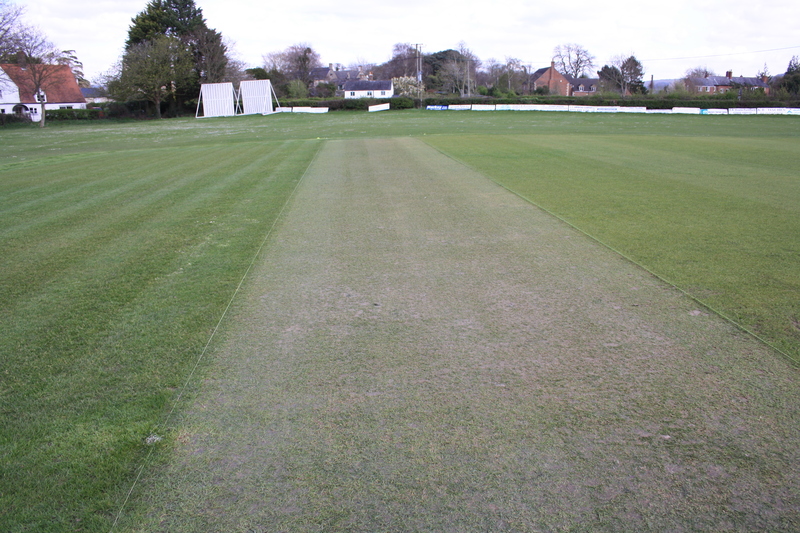 This site is not an alternative to the Play_Cricket FrocesterCC site but intended to compliment it. Play Cricket is the hub for all fixtures, results, team selections, league tables, youth cricket, statistics and match reports. 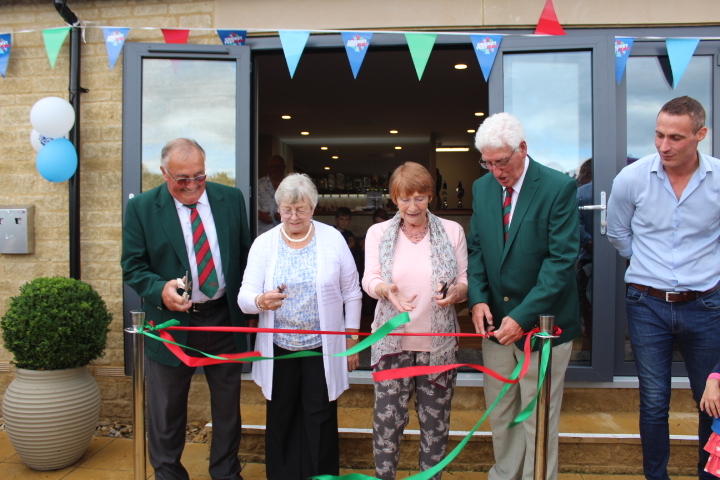 The Red Picket Fence aims to offer certain highlights of the cricket element but is it is mainly geared towards the fun, social and fund raising side of the club. Andrew Marson on Are we there yet? Antony Wood on Are we there yet? Wandy (snr) on All hail the ale! Andrew Marson on All hail the ale!